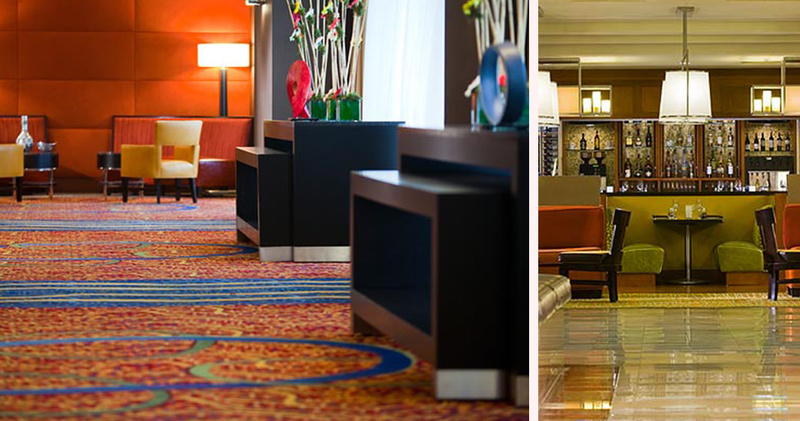 Located right on top of the metro station, Washington Marriott at Metro Center offers guests easy access to the Smithsonian Institute and National Mall. 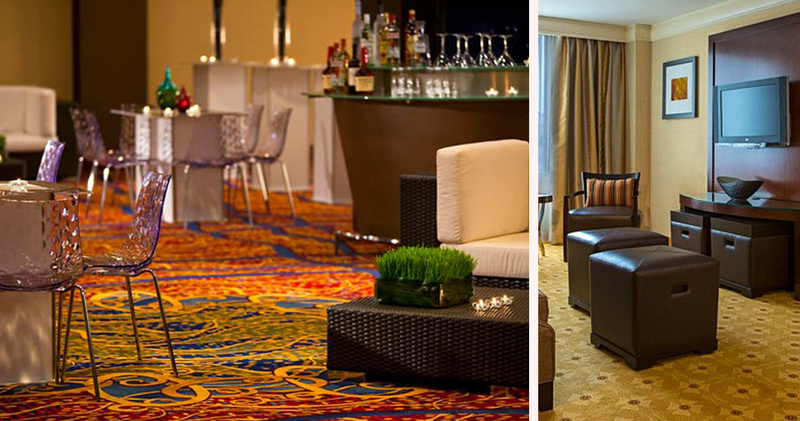 The hotel’s sleek and stylish lobby area features lush plants, marble floors and a beige and brown color palette. There are various lounging areas with modern, comfortable furniture and large windows that let in plenty of natural light. 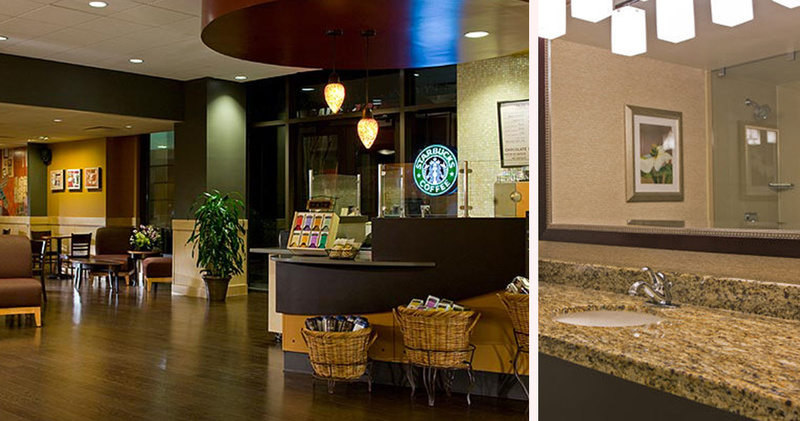 The lobby also has a Starbucks outlet for refreshments. 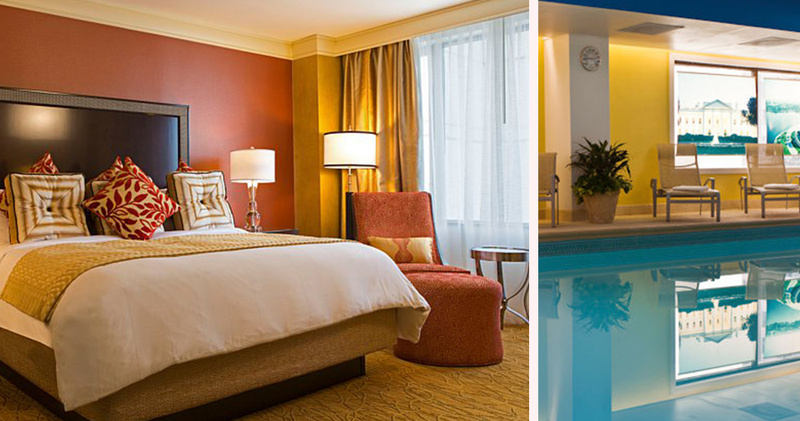 For fitness and leisure, the Marriott Metro Center Hotel has a full-service fitness center with an indoor pool and relaxing spa tub. 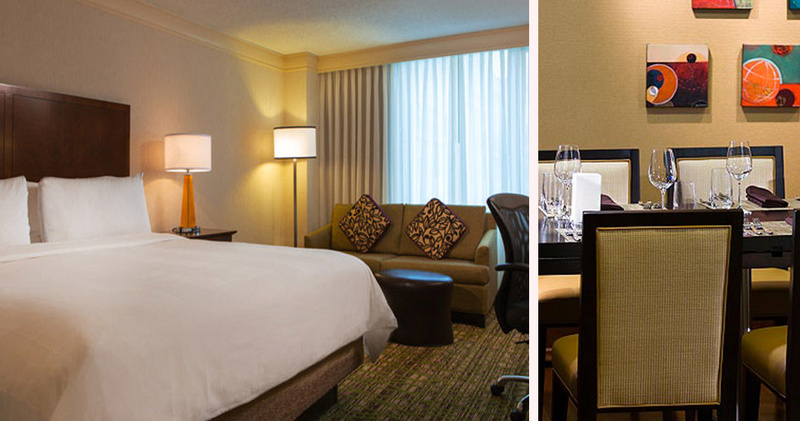 The guestrooms at Washington Marriott at Metro Center are inviting, warm and elegantly designed. The decor features a soothing color palette, hardwood furniture and a comfortable armchair with ottoman. 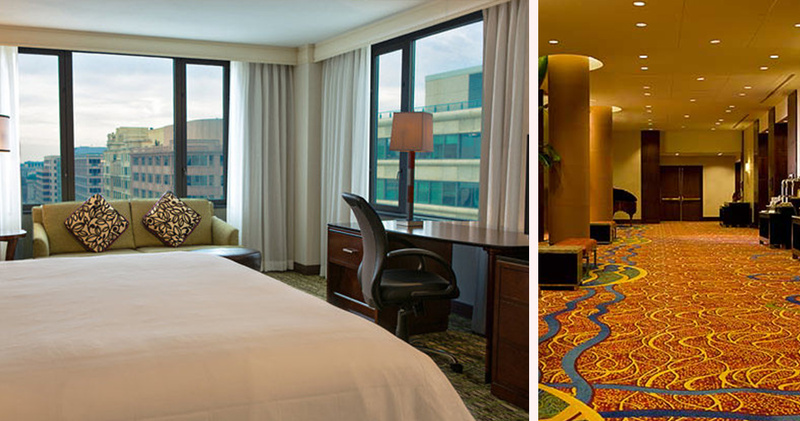 Large windows overlook beautiful city views, giving rooms at Marriot Metro Center Hotel a bright and airy feel. 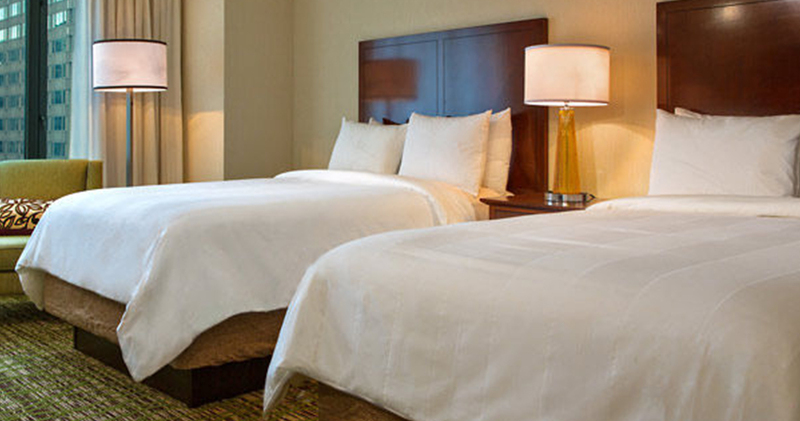 The beds feature an elegant hardwood headboard, custom duvets, down comforters and feather pillows. 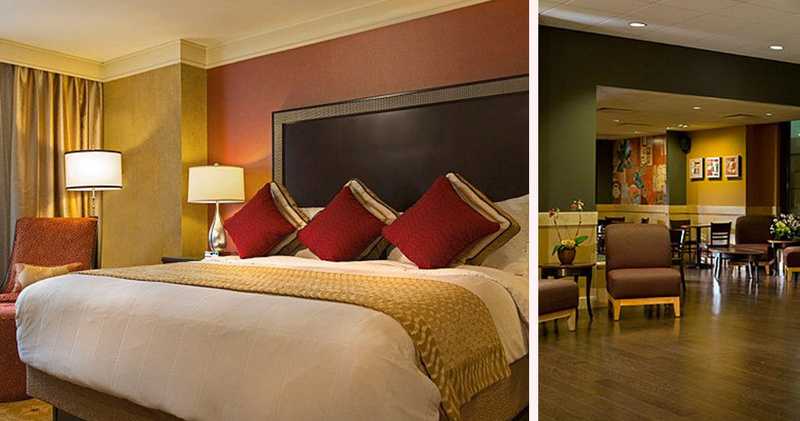 Modern photographs of Washington D.C. adorn the walls, and the spacious marble bathrooms feature large vanities. 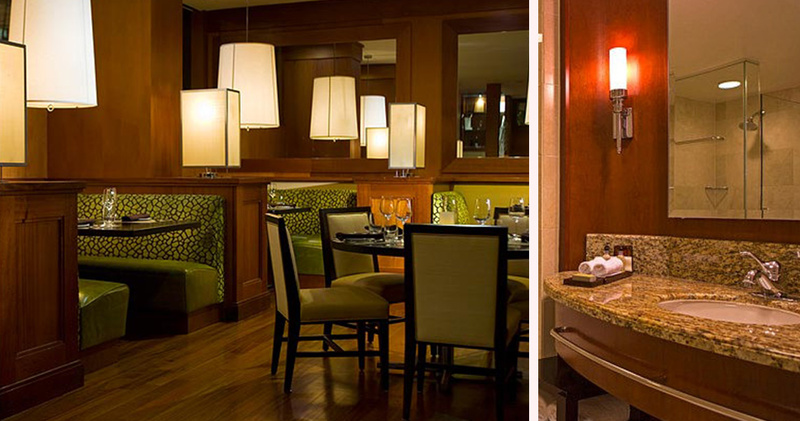 Washington Marriott at Metro Center is home to the Fire & Sage Restaurant. Featuring intimate tables and booths, this relaxed restaurant serves casual American cuisine with oven-fired flatbreads, hearty soups and shareable plates.